Thank goodness it's the weekend! I'm exhausted from my first full time week back at work. I fell asleep early each night this week and didn't get a chance to post as much as I wanted to. This weekend there's a million and one things I want to do again - there's a food truck festival at the Rose Bowl, a sample sale, and then my mother wants to take another trip down to OC. I'm not sure that I'll get to do all of what I want to do, but there's always another weekend I suppose! Is your weekend jam packed? 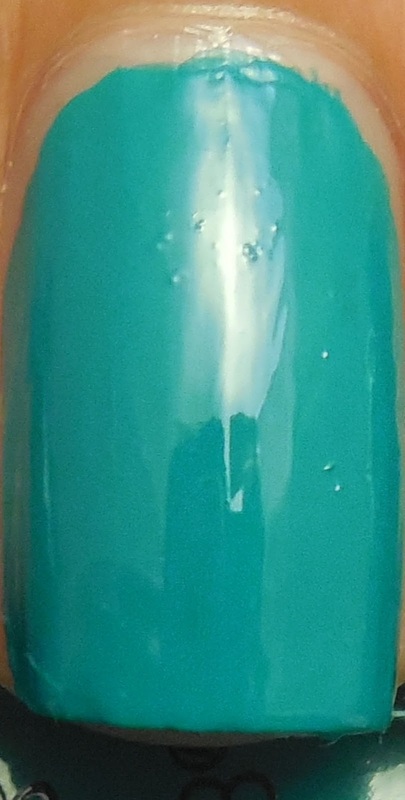 I visited my favorite nail supply with my BFF when she was in town, and she convinced me I needed to pick up Abyss from Color Club's Kaleidoscope Spring collection. It didn't take much convincing because it's a gorgeous green leaning teal cream that simple pops with color. I found application to be a dream, nearly opaque in one coat but two to even it out. This is with a layer of Poshe. I hope I captured how gorgeous this color this is, teals are always wonky on the camera. I thought it would be the perfect shade to go with Lynnderella Connect The Dots, an oldie but goodie. I forgot that there was shimmer in the clear base. 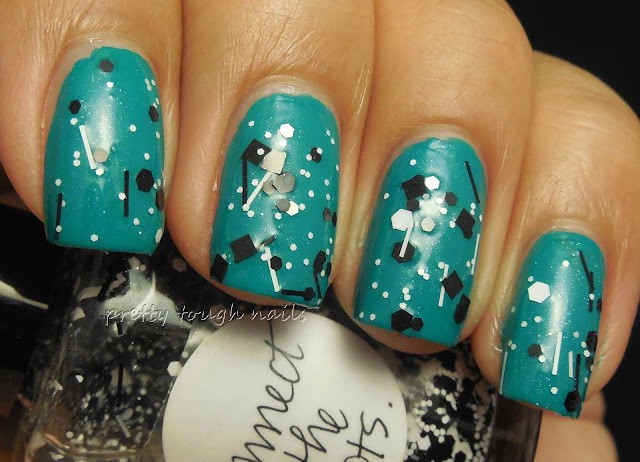 It's no wonder that Lynnderella revolutionized the polish world with this amazing mix of matte white and black glitters with squares(! ), hexes, and bars. There's been several similar dupes released since, but nothing compares to the simple awesomeness of this glitter topper. Is there a glitter topper that you'll never get tired of? What a gorgeous combo! 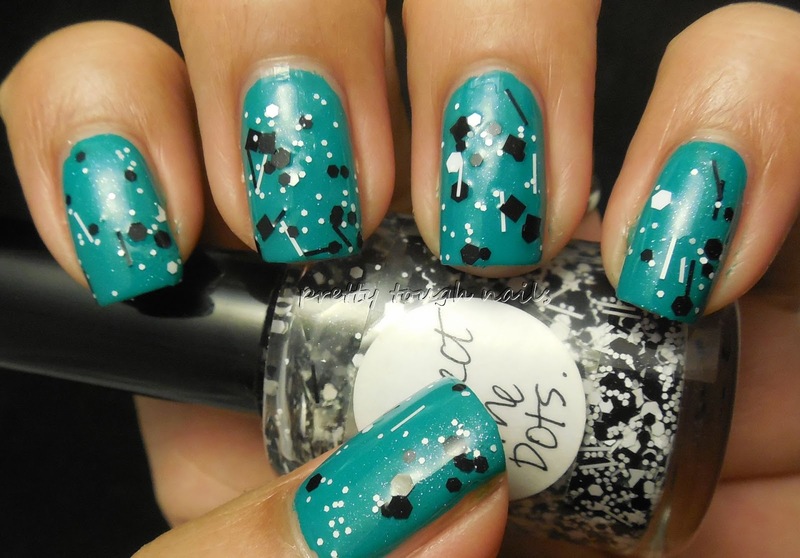 Black and teal go great together.